Getting the right product as a trade show giveaway is important, especially when targeting overseas buyers as they can result in a huge variety of tastes and preferences with culture being a major influential factor. It is important for a company to cover a general area of demand while staying unique and attractive at the same time. 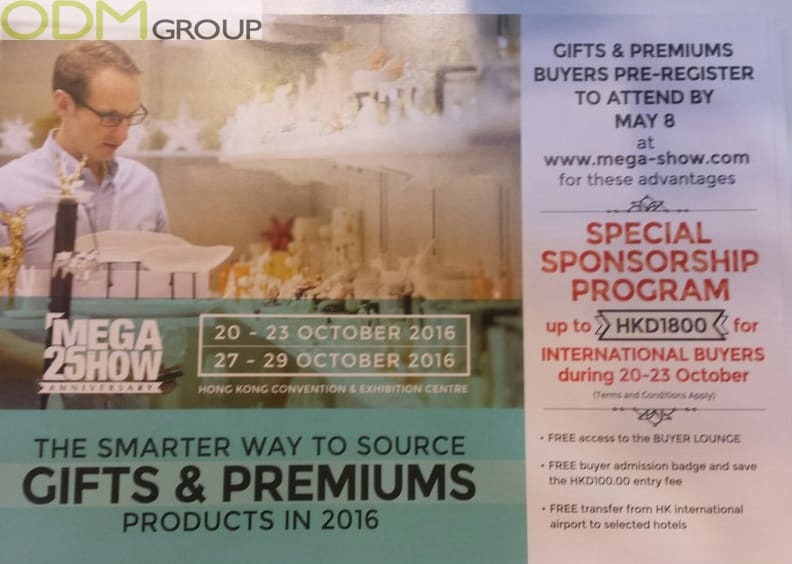 At the Hong Kong Mega Show there have been great examples of promotional products that are perfect as a trade show giveaway. One in particular was this branded travel adapter that covers all major countries output plug shapes. Inclusively it also allows any plug input as well as two USB ports. 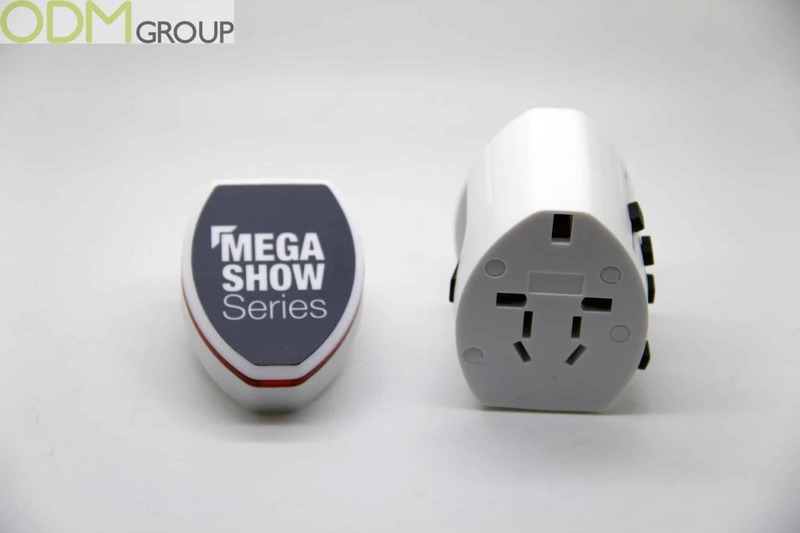 Due to buyers being overseas clients and therefore may be more likely to travel a lot, in particularly to trade shows like this, it is very useful to have a multipurpose plug adapter that will always be used wherever they stay. 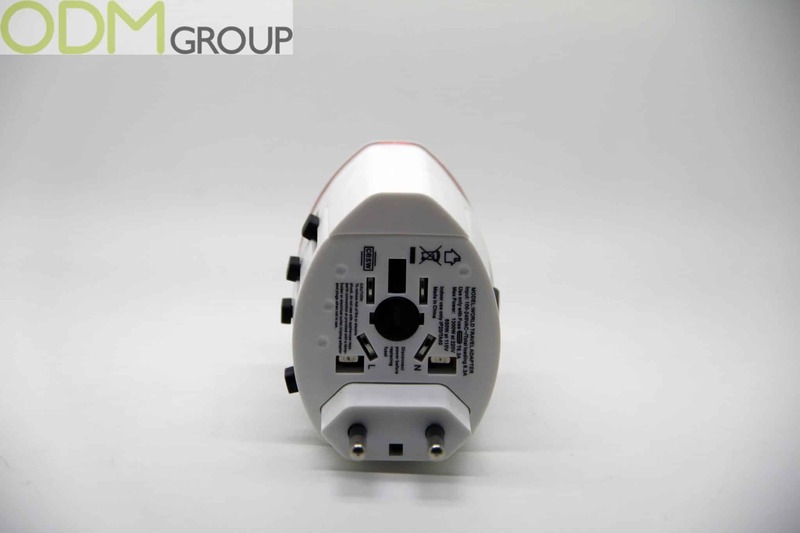 Using a multipurpose travel adapter while moving around a lot can mean that they are constantly exposed to the branding and company logo throughout. Furthermore as it is rather interactive with removable parts and plug shape sliders, the customer is more likely to use the product close up leaving them in constant close contact with the product. A free product is never one that can be turned down. As it is a trade show giveaway this already creates demand for the product as there is no price to pay for it. And with it’s multipurpose abilities it gives it a greater value, offering its flexible usability for free. ODM think that this Trade show giveaway is one of the best we’ve seen and would love to have more of them. If you are interested creating your next promotional product to give to customers visiting your booth at a fair, contact us today for a quote.